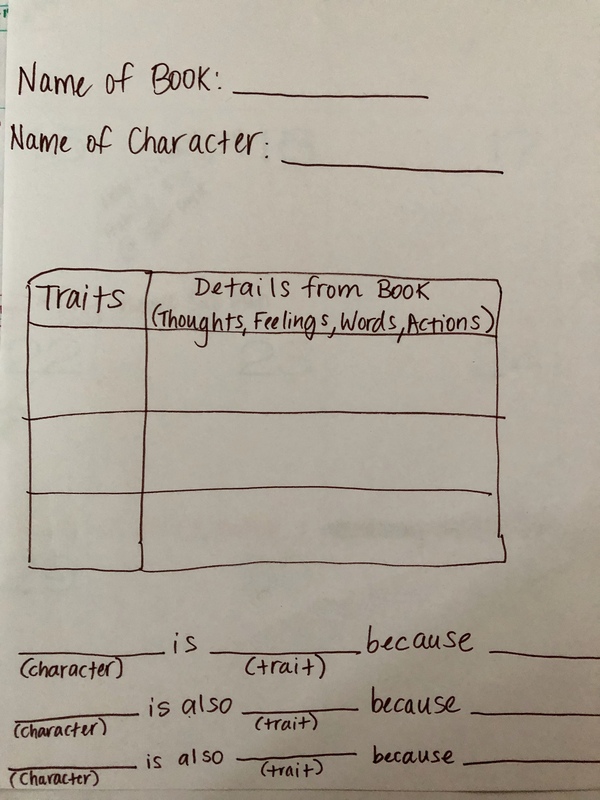 For tonight’s reading homework, students should recreate this character trait chart from the picture below. We completed one together as a class using the Ready textbook. 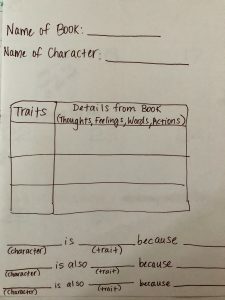 Students should complete this chart using a character from a book they’re reading.